The PERSONAL PROTECTION OUTSIDE THE HOME picks up where NRA defense in the home left off. Students now familiar and skilled at the operation and loading of their handgun, launch off into holster drawing techniques, movement, and more firearm manipulations. 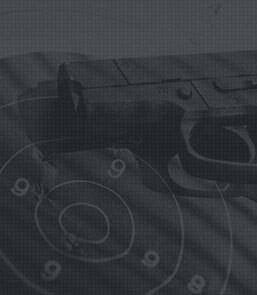 This class is designed for anyone with an interest in the safe and effective use of handguns, above and beyond basic marksmanship practice, and much more focused on the survival of a real life and death weapons encounter. The class continues down the path of considerations such as legal, use of force and situational preparedness. This is a fast paced class, therefore, NRA defense in the home or comparable training should be taken prior to this course. Class instruction and techniques involve a stressful, fast paced, dynamic shooting environment. By the end of the course the student will be able to draw, move, shoot, load, reload and engage targets as necessary while maintaining, situational awareness. 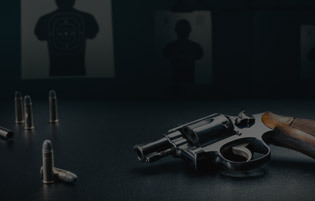 TOPICS COVERED: DRAWING FROM A HOLSTER, MOVEMENT WITH FIREARMS, FIREARMS SAFETY, FIREARMS OWNERSHIP, USE OF LETHAL FORCE FUNDAMENTALS OF PROPER HANDGUN TACTICS, PROPER SELECTION OF FIREARMS, AMMUNITION AND ACCESSORIES. ALSO, LIVE FIRE ON A SHOOTING RANGE, WHICH IS FOCUSED ON WEAPONS TACTICS AND PROPER MINDSET FOR SURVIVAL IN A SHOOTING SITUATION.